On top of the list for popular study destinations, the UK has a long and proud tradition of education, housing universities with roots back in the 12th and 13th centuries. Famous for its language, history, culture and innovation, the UK has one of the highest student retention rates thanks to the comprehensive support systems in place for international students opting for education in the UK. One of the safest countries in the world, the UK provides a multicultural ambiance with a society that holds a reputation for tolerance and welcoming diversity. 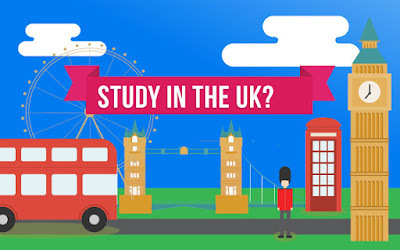 Want to Study in the UK? Meet Top UK Universities in Your City. As an international student, there will be access to a variety of scholarships. Students may apply for a range of scholarships and funding provided by UK institutions. Most scholarships are based on academic merit and are very competitive. These scholarships can be applied once the student has got the offer letter from the university. How to Signup UK Education Fair? Enter Your Full Name, Email Address, Mobile Number (Please Enter Real They will Call You).